Happy Friday everyone! 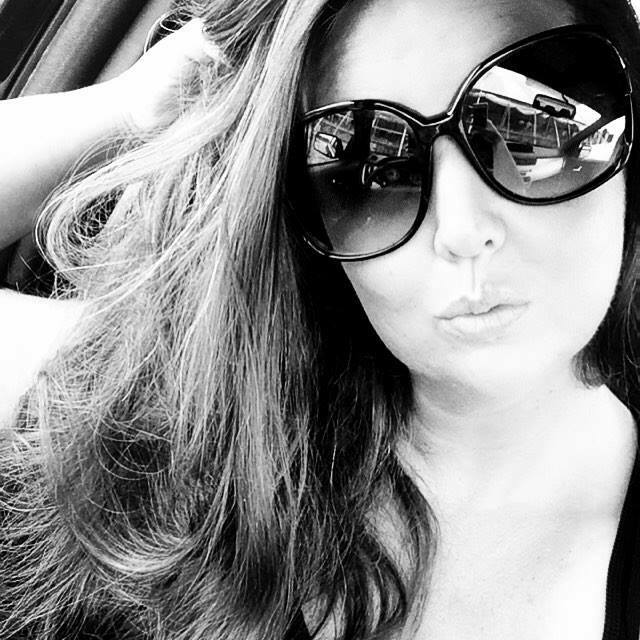 I hope you all had a fabulous day. I wanted to share with you a new subscription box that was introduced to me recently. This one is for all you perfume and fragrance lovers out there. 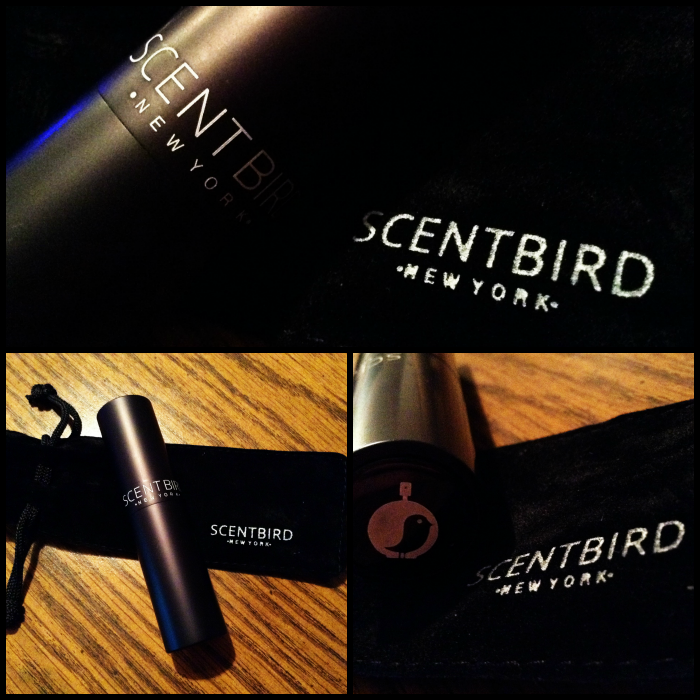 It's called ScentBird and you get to try a new scent every month. 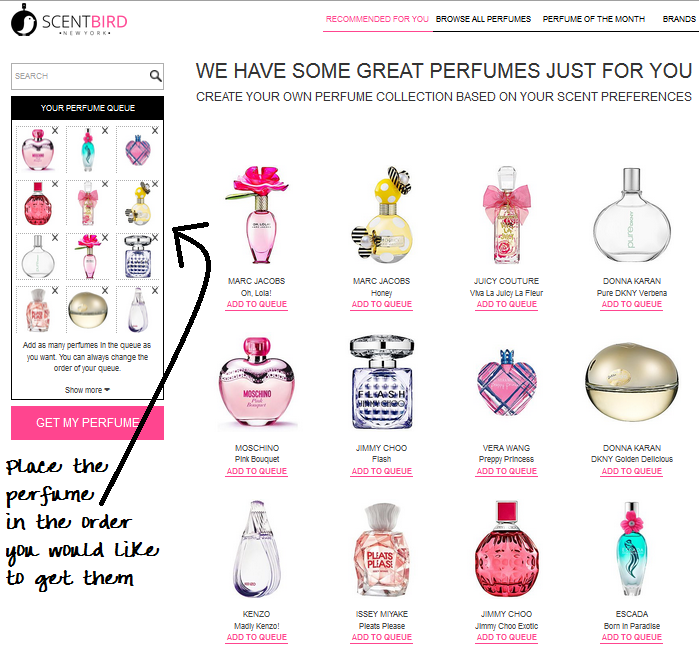 It was actually pretty easy and fun as well to go through the different perfumes and find the one I wanted to try. Since I am not very familiar with all the scents and do not own many perfume, I thought this was a great way to try out and see what scents are out there that I would enjoy. 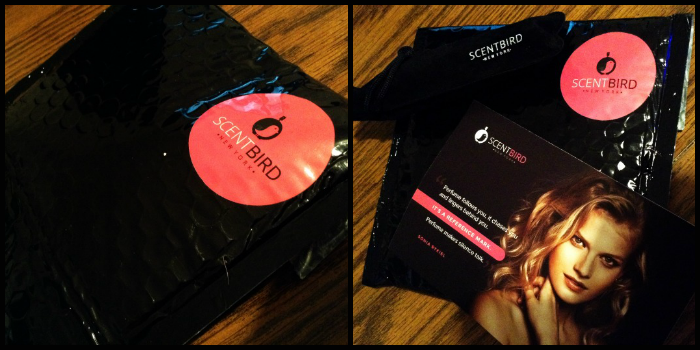 The package was a black bubble envelope with the ScentBird logo on it. Once opened, there was a card with instructions on the back on how to use the product and also a black bag. Inside the bag was the perfume. It is a long, slender stick that seems as though it would fit nicely in your purse or on a shelf in the bathroom or anywhere you would keep your perfume. Either in your home somewhere or on the go. To use the spray, twist the bottle up like you would lipstick and twist it back down to close. My first impression was I had no idea how I would know what perfume I was using. I knew because I remember which one I chose when I ordered it, but wasn't sure how I would remember what it was. I could not find it anywhere on the bottle. Then I saw that you had to pull the bottle out of the case and there it was, the scent was revealed. 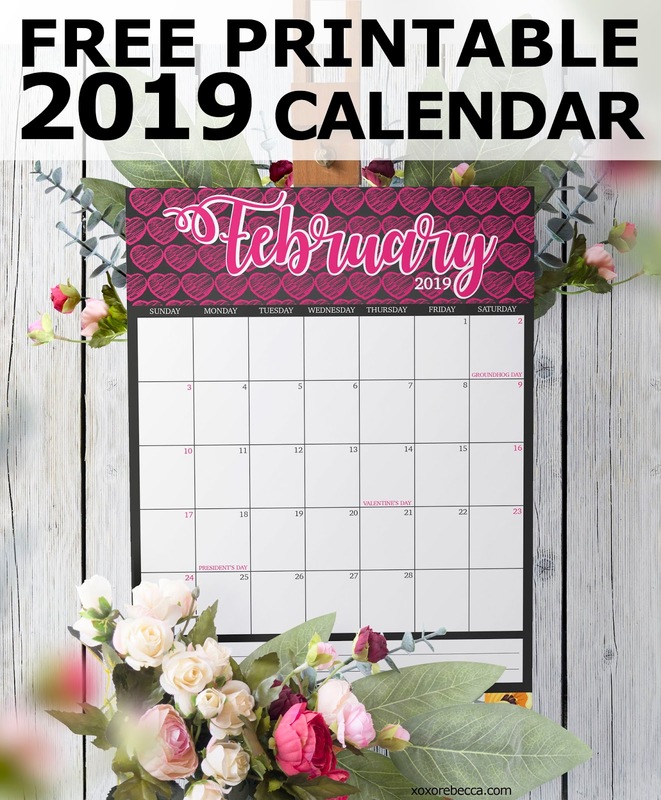 The case is used over an over as you get your perfume each month. You just discard the old bottle and pop in the new one. I thought that was pretty cool once I figured it out. So as you can see, I chose Clinique Happy Heart as my first choice. I loved that this was very personalized pick by using the quiz at the beginning to help choose a perfume that went with my scent preference. I had not tried Happy Heart before so this was a great way to explore and discover a new scent that fit my liking. And another great thing about your choices is that if you are just not feeling the ones that are recommended for you or you want to go out on a limb and try something totally different, you can choose from any of the scents that they have listed. That is a really nice feature. So, you are probably asking yourself how much this subscription is. 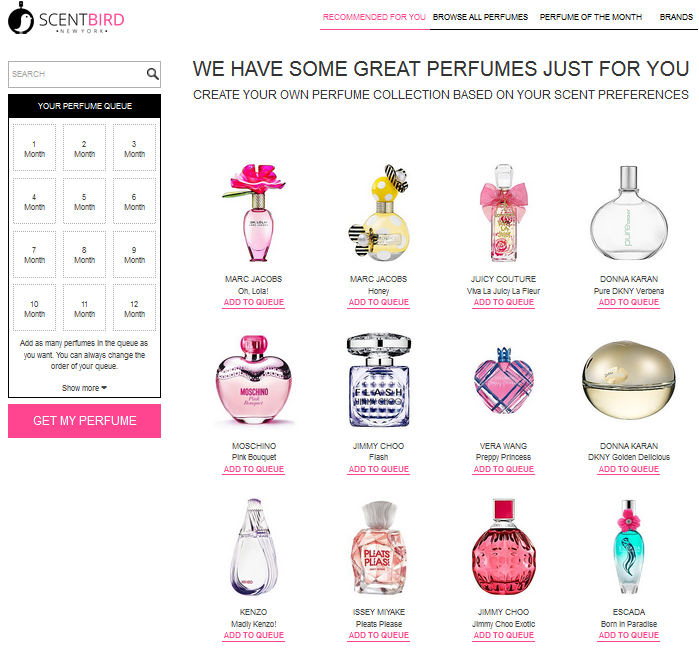 It is $14.95/month and there are over 350 designer perfumes to try out. Ready to take a look and try it out for yourself? 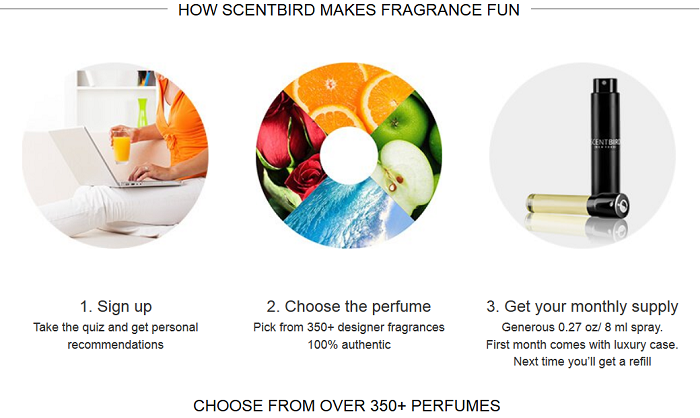 Head over to ScentBird to get started on your own personalized quiz. 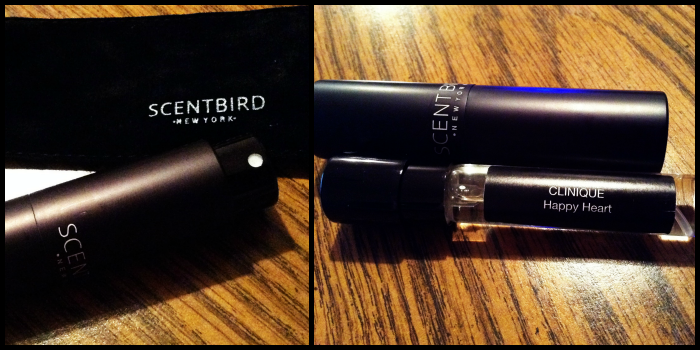 Be sure to check ScentBird out on their social media as well.